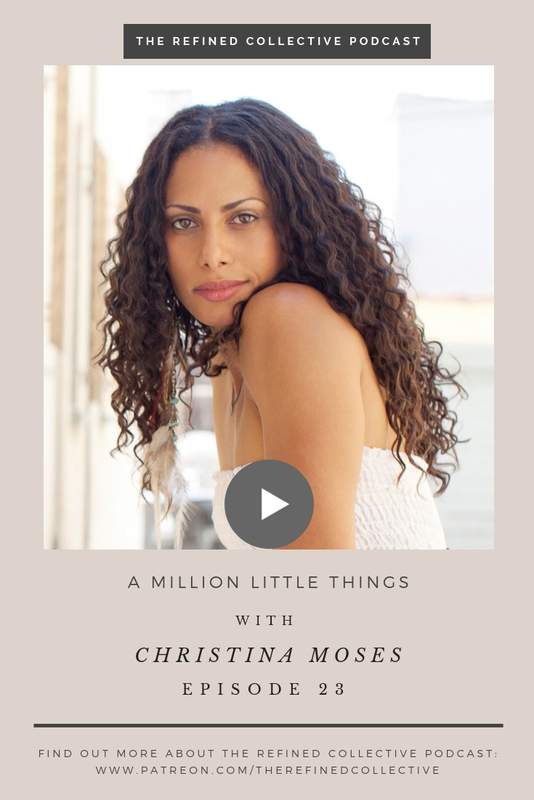 Christina Moses is an incredibly talented actress who is starring in the ensemble cast of A Million Little Things on ABC which premiered on September 26th. It focuses on a group of friends who come together after a friend of theirs suddenly dies, and is being called The Big Chill meets This Is Us. If you’ve seen the first episode, you’ll know how good it is. She also appears in Condor, The Originals, Containment, Roadies, and Rosewood. Aside from acting, she dedicates her time to philanthropic efforts with organizations like Lotus Outreach International, The Girl Effect and the Geena Davis Institute. Her new show, A Million Little Things, explores the idea that everything in life happens for a reason. Overnight successes aren’t really a reality, however it’s so easy to see it that way when all we see are the shiny, edited, spotlight moments of someone’s life. Growing up in Los Angeles in a household with an acting coach father, she went on auditions as a kid. She was shy in every audition and decided that it was best to put it off for a while until she felt comfortable. In school, she dedicated time to painting and poetry before she discovered theater where she could express her creativity in a comfortable way. She moved to New York, and dove into cultural and race politics before realizing she missed acting. In 2008, she got representation, and decided that she was going to really go for it. Christina never doubted her talent as an actor, but her childhood experiences affected her view of her worth. Looking back, she recognizes the trauma she felt on the auditions as a child and the need she felt to please her father. Christina acknowledges that for a long time, she was just surviving and living with a level of anxiety. “What truly lights me up is bringing people along for the ride. I get lit up when other people are lit up.” She hopes she can do that for everyone who sees her work. We have to understand and accept our wounds and faults in order to move through them. Looking back on her childhood, she would give herself many pieces of advice, one being “Make all the mistakes in the world.” Did you need to hear that? Because I sure did. Christina and I dove right into some deep topics and I am so grateful for her heart and her talent. Want to keep up with her and her work? Follow her on Instagram and Twitter and don’t forget to tune in to A Million Little Things on ABC every Wednesday at 10/9c. You do not want to miss out! If this podcast has been a gift to you, would you head over to the podcast app and leave a review? I want to express my gratitude for you guys, so screenshot your review and DM it to @therefinedcollective or tag me in it on Instagram and I will give you a shout-out on IG stories! Make sure to tune in to the episode to see if I read your review on air!